Media has exclusively obtained legal documents showing that British authorities in 2008 revoked Senator Emmanuel Nnamdi (Andy) Uba's multiple entry visa into any of the territories of the United Kingdom. The decision to bar Mr. Uba, a former senior domestic aide to former President Olusegun Obasanjo, was taken by the Secretary of State for the Home Department (SSHD). Judicial filings obtained by us reveal that the British High Commission in Abuja had on November 11, 2004 issued a five-year multiple entry visitor's visa to Senator Uba, who represents Anambra South in the National Assembly. However, in a letter dated December 2, 2008, the SSHD informed Mr. Uba of the revocation of his visa. from the United Kingdom," the revocation letter stated. It added, "On the basis of your character, conduct and association with fraud and other criminal activities, your presence in the UK would not be conducive to the public good and the Home Secretary has decided that you should be excluded from all territories of the United Kingdom." 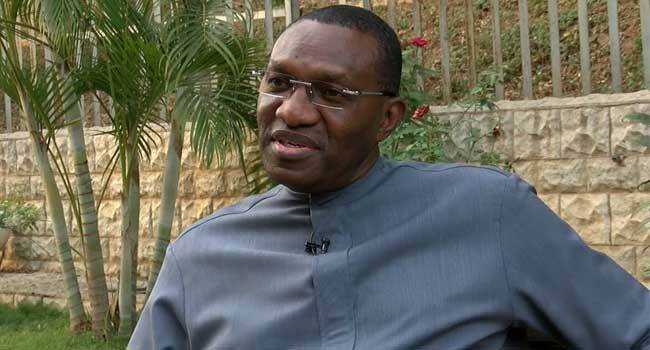 The letter also informed Senator Uba that the decision to prohibit his entry into any part of the U.K. would be reviewed after three years. Court documents in our possession further show that an application by Mr. Uba to persuade British authorities to lift their prohibition against him was denied in 2011. A court filing by British lawyers representing Mr. Uba noted that the Nigerian senator's "application for permission to seek judicial review was refused at an oral hearing on 1st July 2011 by Mr. Ockelton, sitting as a Deputy High Court Judge." Mr. Uba's lawyers appealed the decision, claiming that, in rejecting the senator's application, the court had failed to take "into account the representations and evidence presented by the Claimant during the course of his application." In a letter dated December 19, 2011, Mr. Uba's lawyers again "requested a review of the decision to exclude him from the United Kingdom." They urged the Home Department to note that Mr. Uba "has been a law abiding citizen of Nigeria who has been contributing his best to the development of his country." They pointed out that the former presidential aide "was elected a Senator of Nigeria’s upper legislative chamber in 2011." They also argued that Mr. Uba "would not have qualified for election to the Nigerian Senate" if he had been implicated in criminal activities. The lawyers drew attention to sections of the Constitution of the Federal Republic of Nigeria 1999 "which clearly sets out at clauses 65-66 the stringent criteria that would enable an individual to qualify for election as senator in Nigeria." Mr. Uba's lawyers stated that the senator felt that his woes were linked to "unsubstantiated allegations made on the internet against him," adding, "there has been no proven conviction to date against him in any country in the world, including Nigeria." The senator's legal team asserted that "the internet, being a tool open to all individuals to post documents on, can be used as a weapon of destruction and assassination of character." Despite the pleas by Senator Uba's attorneys, the SSHD reaffirmed that the controversial politician would remain a persona non grata from the U.K. That decision was contained in a letter dated July 19, 2012. “In response to your letter I can only reiterate previous advice which states that the Home Secretary personally excluded Mr. Uba from the UK because she did not consider his presence in the UK to be conducive to the public good on the basis of his character, conduct and association with fraud and other criminal activities," the letter stated. Court documents (see full text below) indicated that Senator Uba's lawyers mounted a further legal challenge to the decision barring their client from the U.K., but to no avail. SaharaReporters could not independently confirm if the U.K. Authorities have changed their mind since 2012, however, sources knowledgeable about the case said the senator's presentation of forged documents to the U.K. authorities likely compounded his woes. 1. A review decision of the Defendant, confirming a previous decision that the Claimant is to be excluded from the United Kingdom. The review decision was dated 19th July 2012.
i) The Defendant has failed to reasonably and lawfully consider the review application of the Claimant by failing to/ failing to appropriately establish that she took into account the representations and evidence presented by the Claimant during the course of his application. 2. The Claimant was born on 14th December 1958 and is presently aged 53. 3. He is presently Senator for the Anambra South constituency of Anambra State. 4. The Claimant previously served as Governor of Anambra State, being elected in April 2007. He was removed from office by order of the Nigerian Supreme Court as the election results were nullified upon the previous Governor establishing that his term of office continued. 5. On 11th November 2004, the Claimant was issued with a 5-year multiple-entry visitor’s visa by the British High Commission, Abuja. “The purpose of this letter is to inform you that on 26 November 2008, after the most careful consideration, the Home Secretary personally directed that you should be excluded from the United Kingdom. On the basis of your character, conduct and association with fraud and other criminal activities, your presence in the UK would not be conducive to the public good and the Home Secretary has decided that you should be excluded from all territories of the United Kingdom. 7. On 2nd December 2008, the British High Commission confirmed to the Claimant that it had decided to revoke the multiple-entry visitor’s visa on the grounds that the Defendant had personally directed that the Claimant’s exclusion from the United Kingdom was conducive to the public good. 8. The Claimant was refused entry as a result of the exclusion decision on 24th December 2008. 10. The Claimant sought to challenge the decision by way of judicial review, outside of the 3 months period identified by the Civil Procedure Rules (CO/6949/2010). 11. The application for permission to seek judicial review was refused at an oral hearing on 1st July 2011 by Mr. Ockelton, sitting as a Deputy High Court Judge. “… our client is asking that the SSHD, in reviewing this extant exclusion decision, should note that he has been a law abiding citizen of Nigeria who has been contributing his best to the development of his country. He was elected a Senator of Nigeria’s upper legislative chamber in 2011 … He would not have qualified for election to the Nigerian Senate if this was the case. We refer you to the attached extract from the Constitution of the Federal Republic of Nigeria 1999 which clearly sets out at clauses 65-66 the stringent criteria that would enable an individual to qualify for election as senator in Nigeria. Furthermore, we urge the SSHD to take cognizance of our client’s strong assertion that, despite the unsubstantiated allegations made on the internet against him, there has been no proven conviction to date against him in any country in the world, including Nigeria. In addition, the SSDH should also please note that the internet, being a tool open to all individuals to post documents on, can be used as a weapon of destruction and assassination of character. GROUND 1 – The Defendant has failed to reasonably and lawfully consider the review application of the Claimant by failing to/ failing to appropriately establish that she took into account the representations and evidence presented by the Claimant during the course of his application. 14. The Defendant directed that the Claimant should be excluded from the United Kingdom. 15. It was decided that the Claimant’s presence in the United Kingdom was not conducive to the public good. 16. The reasons given were short and detailed that the decision was based upon the Claimant’s character, conduct and association with fraud and other criminal activities. 17. The position of persons seeking to enter this country from abroad is governed by a complex patchwork of statutory rules and regulations. 18. Section 1 Immigration Act 1971 empowers the Defendant to lay down rules for regulating the entry into the United Kingdom of persons not having a right of abode here, including visitors. 19. Section 3 of the 1971 Act provides that a person who is not a British citizen shall not enter the United Kingdom unless given leave to do so in accordance with the provisions of, or made under, the Act. 20. Immigration Rules (HC395) have been made pursuant to sections 1, 3(2) of the 1971 Act. 21. Rule 41 lays down requirements for leave to enter as a visitor with which the Claimant has previously complied. 23. Guidance issued to entry clearance officers relating to paragraph 320(6) suggests that, where a refusal is appropriate, high profile cases should be referred to the Home Secretary: Entry Clearance Guidance, RFL 8.1. 24. Guidance to entry clearance officers relating to paragraph 320(19) states that the non-conducive powers apply in a broad range of circumstances and that each case must be considered on its individual merits: Entry Clearance Guidance RFL9.1–4. Examples of such refusals in the Guidance are where a person's admission might lead to an infringement of United Kingdom law. 25. An excluded person can seek a review of the decision after 3 years. “More especially, our client is asking that the SSHD, in reviewing this extant exclusion decision, should not that he has been a law abiding citizen of Nigeria who has been contributing his best to the development of his country. He was elected a Senator of Nigeria’s upper legislative chamber in 2011 – a printout from the Nigerian national assembly website is enclosed for your reference. He would not have qualified for election to the Nigerian Senate if this was the case. We refer you to the attached extract from the Constitution of the Federal Republic of Nigeria 1999 which clearly sets out at clauses 65-66 the stringent criteria that would enable an individual to qualify for election as senator in Nigeria. 27. The Claimant put forward strong grounds for asserting that he is a suitable person to enjoy a visitor’s visa and enter this country as a visitor, presenting evidence as to his election as a Senator in Nigeria and as to the stringent criteria required to be met before he could both stand for election and take up his seat. Such evidence strongly suggests that he is a man of suitable character to enjoy leave to enter the United Kingdom. “Thank you for your correspondence dated 17 July concerning your client, Mr. Emmanuel Nnamdi Uba, who has been excluded from the United Kingdom. In response to your letter I can only reiterate previous advice which states that the Home Secretary personally excluded Mr. Uba from the UK because she did not consider his presence in the UK to be conducive to the public good on the basis of his character, conduct and association with fraud and other criminal activities. Following the recent review of Mr. Uba’s case the exclusion decision has been maintained for the reasons stated above. It is not possible to disclose any further details relating to this case. Please note that contrary to your assertion, Mr. Uba is the subject of an exclusion decision taken personally by the Home Secretary, and not an exclusion order. 29. The decision letters fails to note the representations and evidence relied upon by the Claimant, fails to detail that it has been appropriately considered and fails to detail as to what weight, if any, the decision maker gave to the representations and evidence presented. 30. The decision can be considered to be a simple rubber-stamping of the decision made in 2008. Such an approach is unlawful. 31. A person seeking a permitted review of a decision should be placed in a position whereby they understand why their application has been refused. 32. This is particularly so when they are denied knowledge of the details of the allegations made against them. 33. The Court of Appeal (Lord Phillips MR) observed in English v Emery Reimbold and Strick Ltd  1 W.L.R. 2409 justice will not be done if it is not apparent as to why a party has been unsuccessful. 40. The lack of reasoning identifying why the Claimant’s representations and evidence were rejected was unlawful. 1. The Claimant is a national of Nigeria. 2. He was born on 14th December 1958 and is presently aged 53. 3. He is the Senator for the Anambra South constituency of Anambra State. 4. On 11th November 2004, the Claimant was issued with a 5-year multiple-entry visitor’s visa by the British High Commission, Abuja. 5. On 26th November 2008, the Defendant directed that the Claimant be excluded from the United Kingdom. 6. On 2nd December 2008, the British High Commission confirmed to the Claimant that it had decided to revoke the multiple-entry visitor’s visa. 7. The Claimant was informed that he could seek to review the decision after 3 years. 8. He requested a review of the decision to exclude him from the United Kingdom by way of a letter dated 19th December 2011. 9. The Defendant conducted a review and the on 19th July 2012 the decision to make an exclusion decision was maintained.